What is Nikon’s business future? Today, I surfed around and collected some (weak) signals and came to a clear conclusion „not that bright“. even if the drop is not as „planned“ in 2016 in this chart. If you look at the updated data from 2016 in the original cipa source it is still or just 24.2m shipments. The problem for Nikon is that it is weak in the „mirrorless“ and „GoPro“ camera „left over market“ where Fuji, Olympus, and Sony take market share while Canon is still the standard DSLR competitor. The Nikon D5 and D500 are well received in the market which makes the management motivated to stay on due course. BUT Nikon’s turnover and profit relays heavily on its „Imaging Products“ as you can see in the latest business report. Like a frog or lobster in hot water getting cooked here, we have shrinking turnover with still OK profits. BUT the official business plan for „Imaging Products“ has higher turnover for 2017 and 2018 on page #12. How can Nikon grow in two years with 10% in a market that is shrinking between -10% maybe up to -30% per year? Where is the secret product that can do that? The MID-TERM business change program from 2006 which targeted at more diversity with three existing and three new business areas failed after 10 years and is now replaced with a restructure plan. All the new real hot topics like cameras for robots, drones, cars, smart phones; Internet (of Things); biotech; machine Learning, … are not even on the agenda. Just have a look at page #7 listing excellent technology competencies of the 19th and 20th century. But none of the 21st. With Nikon’s 8% R&D budget there is a lot of room to make Nikon’s future iff Nikon puts it on the right topics. There is no acquisition in the „mirror less“ camera game, nor photo sharing on internet, video processing or machine learning! What about integrating the camera smoothly in the business process of professionals in the news, sports, or portrait business? Or target the semi-pro wedding photographers with an experience for the whole attending family members? 2017 will be a critical year for Nikon with its 100th anniversary. This will give Nikon a lot of air time. 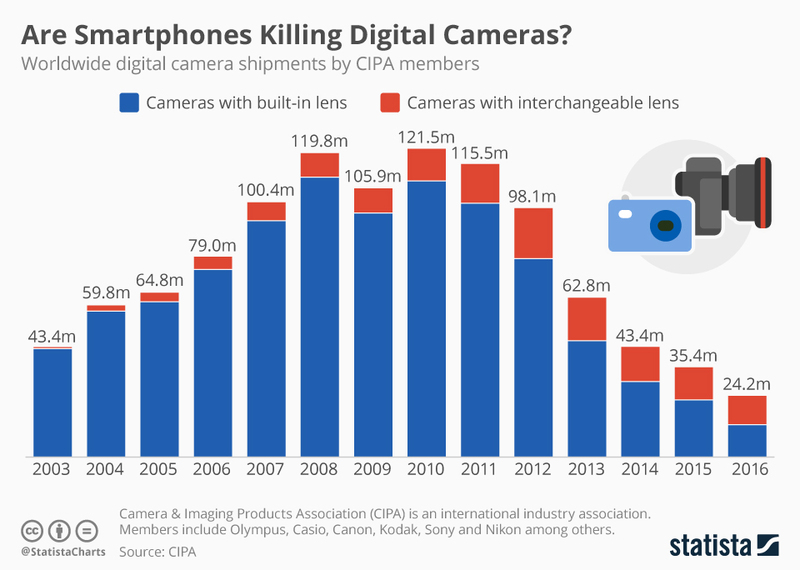 Hence, we are waiting for very cool camera models that take a bigger market share in the shrinking marked window between smart phones, mirrorless on one side and Leica et. al. at the other side. The painful retirement plan for more than 1,000 employees is not the news you which for a big party. [After I wrote this blog post on Sunday some more news came out]. I think it is right to cancel the DL line as announced and my above concerns were enforced by Nikon’s loss statement and Nikon’s new financial figures (be aware that Nikon’s fiscal year ends March 2017).